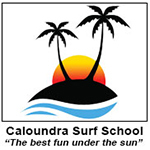 Welcome to Caloundra Surf School! If you want to learn to surf, you’ve come to the right place! I’m always happy to teach people to surf (and surf better!). It’s such great fun! And it’s a good idea to have a lesson to learn the right techniques from the beginning. We take great pride in providing a fantastic service to our students, so that you have the best possible surfing experience! Our coaches work hard to help you have the most fun, learn the proper surfing skills, and improve your surfing. It’s really important to have your lesson on the best possible waves – this makes a huge difference in helping a new surfer do well and have the most fun! 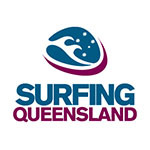 I have the exclusive Council permits to provide surf lessons at the 3 best beaches around Caloundra (Happy Valley, Currimundi Beach and Dicky Beach), which means I can take my classes to the best location depending upon the conditions (e.g. wind direction, tides, sandbanks, etc.). Happy Valley (known as Happys) is located at Clarke Place Park (along The Esplanade Bulcock Beach), between Kings Beach and Bulcock Beach. It is usually the best beach to learn surfing around Caloundra, and probably on the whole Sunshine Coast! This is where we prefer to have our lessons. I plan the lesson when we will get the best waves, so the time of our class will vary from day to day, depending upon the conditions such as the tide and the wind. I will confirm the details of our lesson (e.g. location and time) at least 24 hours before our class, after I’ve checked the latest weather forecasts and surf reports. We run surf lessons on both weekdays and weekends! The price is $50 per surfer for the 90 min group lesson, and I’m happy to offer a 10% discount for 3 or more surfers (= $45 each). There is also a 10% discount if you pay for 3 or more lessons in advance. A private class for 1 person is $110; $80 each for 2 surfers (total = $160); $70 each for 3 surfers (total = $210); and $60 each for 4 or more surfers. We provide everything you need to surf in the lesson as part of the fee (the right size surfboard, and rash shirt when it’s warmer and wetsuit when it’s cooler). You only need to bring the usual gear you’d take to the beach – and a big smile! 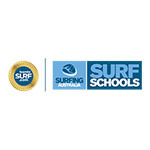 The coaches at Caloundra Surf School really enjoy surfing with our students. We work very hard to make sure you have the most fun and the best possible surfing experience! If you had a great time surfing with us, we’d certainly appreciate you letting others know what fun you’ve had via TripAdvisor (see below), Google or Facebook. We meet in the carpark at the beach end of ROBE STREET, CURRIMUNDI (at the corner of Robe Street and Watson Street). It’s Beach Access 256, and is about 300m south of Currimundi Lake. 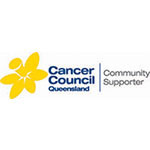 (Robe Street runs off Currimundi Road). We will be there in our white van.